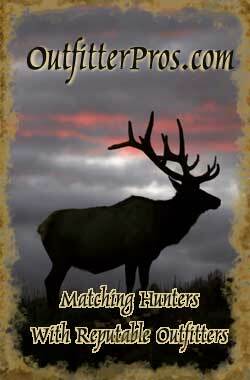 Cheap Self-Guided Elk Hunting - We offer a great selection of Cheap Self-Guided & Drop Camp Elk hunts, 44 in total. Cheap (price relative to guided hunts) Elk hunts from reputable elk hunting guides and outfitters in Colorado, New Mexico, Idaho, Wyoming, Montana, Canada, and more.... Self-guided bow and gun elk hunts, some with no lodging, and some drop camps with tent lodging, at very reasonable prices for the hunter that doesn't need or want a guide - just access to great elk properties. Many of these hunts also allow the hunter to take a mule deer and/or black bear. Drop Camp or Guided Elk Hunt? Before you go off and book a Drop Camp elk hunt to save a little money, you may want to review the Pros and Cons of a DIY drop camp elk hunt versus a fully or semi-guided hunt. "Everything" is rather subjective. Some outfitters have "valet" service, others have "bare-bones" operations. Experienced guides and operations are also subjective. Some outfitters have more experience with construction or computers they used in their former professions than with hunting and outfitting. Young (or old) inexperienced guides may know less than you about elk or the area being hunted. Hunts are scheduled to maximize the number of hunters that can be taken in one season. You may have to hunt when you really don't want to. Weather is important. Since outfitters try to fill each hunt, you may end up hunting with someone who isn't quite your type. In some states, non-residents that book with an outfitter get the more expensive guaranteed license, but can only hunt with an outfitter. They can't come back later and hunt on their own. Bad things can happen on fully-outfitted hunts, as well as the non-outfitted ones. Allow the new hunter/rustic camper a chance to get experience while still under the outfitter's protective umbrella. Most drop camps have camp set up and the outfitter's crew usually takes care of caping, quartering and packing game out. Day-to-day you are on your own. This can be pro or con. You may learn more on your own, you may not. The learning curve for those new to elk hunting or rustic camping is steep. Getting experience on your own can be expensive and life-threatening. Usually requires a minimum of 3 or 4 friends/hunters. Many drop camp hunts require 1 day of time to pack-in, and 1 day of time to pack-out. This cuts into actual hunting time. Self-Guided Gun and Bow hunts in Colorado, New Mexico, Idaho, Wyoming, Montana, Canada, and more.